I didn’t think the Steam Machines would be Nvidia exclusive, built as they are by a number of different manufacturers for a number of different ends – be it size, price, noise or modability. You probably didn’t think the Steam Machines would be Nvidia exclusive either. But Valve announced late last month that they’d been working directly with the graphics giant on their own SteamOS box, and a portion of the internet set their tongues to wag. Valve’s Doug Lombardi, who spends far less time talking in public than you’d imagine a marketing man ought, has toldMaximum PCotherwise. 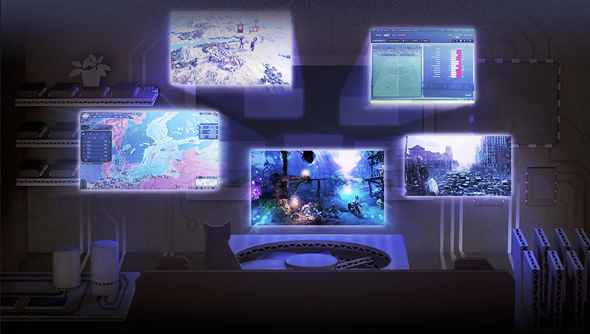 Next year’s early round of Steam Machines will feature hardware not only from Nvidia but also AMD and Intel. “Last week, we posted some technical specs of our first wave of Steam Machine prototypes,” he said. “Although the graphics hardware that we’ve selected for the first wave of prototypes is a variety of Nvidia cards, that is not an indication that Steam Machines are Nvidia-only. Nvidia engineers have worked with Valve to port Source to Linux, optimising performance for OpenGL and Nvidia cards. The GPU manufacturer’s Mark Smith had explained as much in aSeptember blog post. “The collaboration makes sense as both companies strongly believe in the importance of open-platform innovation, and both companies are committed to providing gamers with a cutting-edge visual experience,” he said, rather blandly.